“It is clear the State has the burden, if they have not carried it in their presentation the court MUST acquit. Leaving questions in the jury means that the State has failed to carry their burden. The remedy for the State is to run more focus groups and prep cases thoroughly (and stop wasting resources in bad cases) rather than for the Judge to give them a boost from the bench. This is dangerously realigning the role of the Judge as a Backup Prosecutor rather than an independent arbiter. If questions are allowed, can we start allowing more evidence of State Misdeeds in? Now that you have looked at it from that point of view, pretty interesting, isn’t it? And what about the Rules of Evidence? Lawyers are trained in the Rules of Evidence, what is admissible and what is not. They spend hours and hours preparing for a trial by making sure every question they ask and every piece of evidence they attempt to put in is admissible and conforms to the rules of evidence. They file motions in limine to keep certain evidence out, because for various reasons it may not be admissible under our Georgia Rules of Evidence. If the judge has granted those motions in limine, that means there shall be no mentioning of that information at all during the trial. 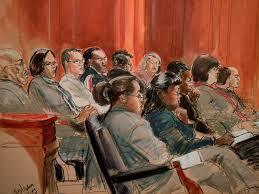 What if a juror then asks a question that has already been ruled inadmissible by the judge? The judge cannot permit either side to answer it, and the jury is left thinking that information has to hurt one side or the other. They fill in the blank of the unanswered question with whatever bias they brought with them to the courtroom. Does an attorney now have to move for a mistrial? Or take the risk that it didn’t hurt your client? In a civil trial, certain information has been ruled by our Georgia appellate courts to be inadmissible as a matter of law and that admitting evidence of certain facts would violate a party’s constitutional rights to a fair trial. For example, if a defendant doctor has malpractice insurance that would cover any verdict against him/her in a medical malpractice case, the jury is not permitted by law to know about that, to know that if found negligent the doctor faces no personal exposure whatsoever because he has a professional liability policy that not only will cover any verdict against him/her, but also paid for his lawyer. But what happens if the jury asks “Does the doctor have malpractice insurance?” The judge can’t allow either party to answer that question because it would cause a mistrial. But leaving the juror’s question unanswered may suggest an answer to the jury, even if that suggested answer is not accurate. The jury may think: “OK. They didn’t answer our question about malpractice insurance, so I guess the doctor doesn’t have any.” That may make the jury more lenient with the defendant doctor’s conduct, thinking they don’t want to be too hard on him because he can’t afford to pay a high verdict and may lose his house if they award a lot of money in favor of the plaintiff. How can that possibly be fair to the plaintiff? The short answer is, it’s can’t. So, although it may seem “hip” to a judge to allow jurors to ask questions of witnesses, it is a practice fraught with problems, including potential constitutional violations. It surely will lengthen the trial and more than likely will result in even more litigation and additional appellate issues. It turns the notion of “judicial efficiency” or “judicial economy” on its head. I urge trial court judges not to do it. If the issue is raised at any of my trials, I intend to object. Robin Frazer Clark pursues justice for those who have personal injury claims as a result of being injured in motor vehicle wrecks, trucking wrecks, defective products, defective maintenance of roads, premises safety, medical malpractice and other incidents caused by the negligence of others. Ms. Clark is the 50th President of the State Bar of Georgia and a Past President of Georgia Trial Lawyers Association and has practiced law in Georgia for 29 years. Mrs. Clark is listed as one of the Top 50 Women Trial Lawyers in Georgia and is a Georgia Super Lawyer. Robin Frazer Clark~Dedicated to the Constitution’s Promise of Justice for All.